In April next year Keely Quirke, Roisín Lyons and I will travel to Kolkata to see first hand the everyday struggles the children here have to deal with. A staggering 250 thousand children live with little or no shelter scavenging in rubbish bins to find food. Many are at high risk of being abused. Once we have reached our target of 7,200 euros for the hope foundation, this will help the their ground work in Kolkata with the slum children. We are inspired by the work of The Hope Foundation and wanted to support them by raising this money and helping those children if only for a short while. Last night we had a fantastic turnout at the Devon Inn in Templeglantine for The Children Need You. 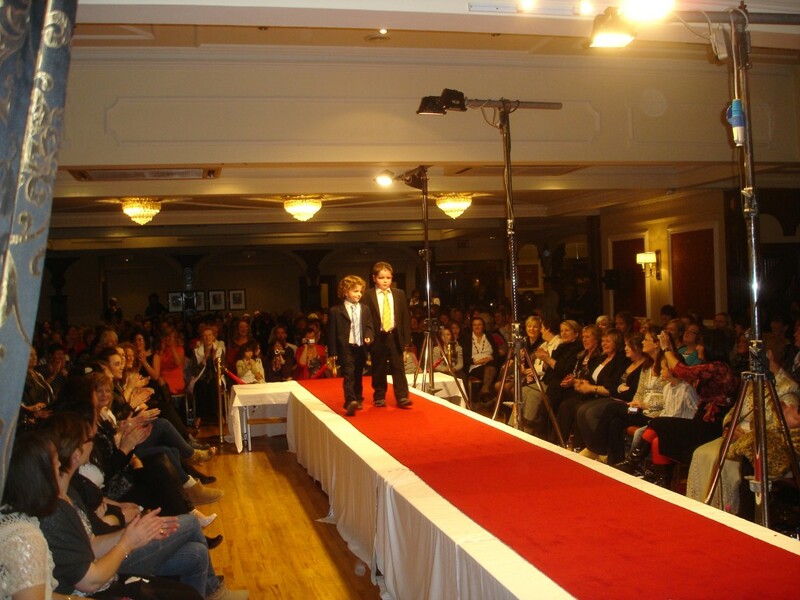 We would like to thank you all sincerely for your support (Temple Street and Crumlin Children’s Hospital). Until recently we didn’t realise how much the children’s hospitals need our help, now unfortunately, we do. This is a very personal thank you to everyone for your generosity and support from the CD to the concert and of course in our day to day life. We have got to know loads of new friends and it really proves when we stick together we can do anything and if we believe it will come true. Posted in Concerts, News	| Comments Off on What a Night! Saturday January 29th 2011 at The Devon Inn, Templeglantine, Co. 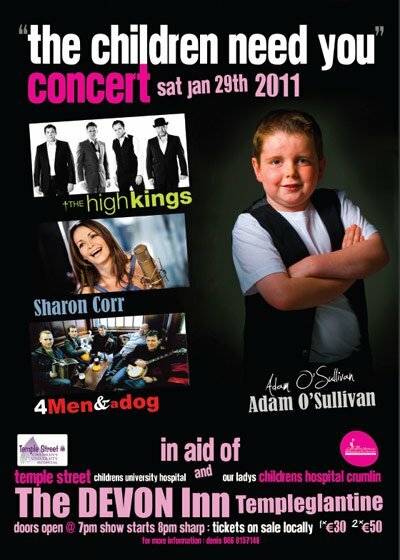 Limerick Four Men and a Dog, Sharon Corr, and The High Kings will play a benefit concert. Posted in Concerts	| Comments Off on The Children Need You! 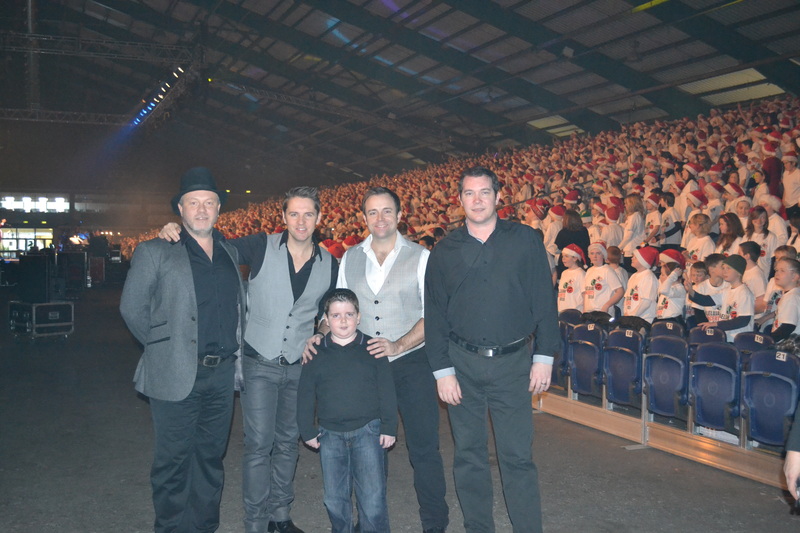 Winding down for a Christmas break but just time for one more gig in the RDS in Dublin. 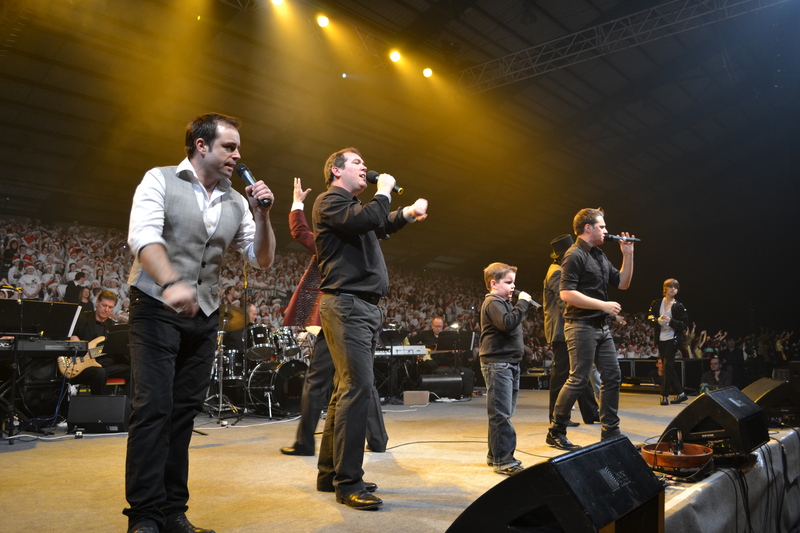 What a gig to sing in front of the Choir of 3000 kids was great hopefully they will remember me and buy my CD. Its all going to Temple Street and Crumlin Children’s Hospital’s. 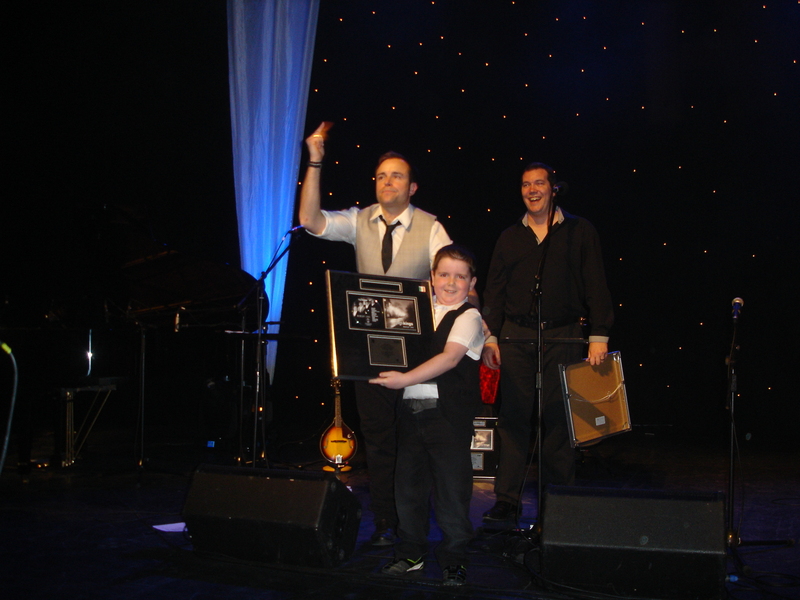 and then for their management to present me with a Platinum Album for their great album Memory Lane. Wow is all I can say. 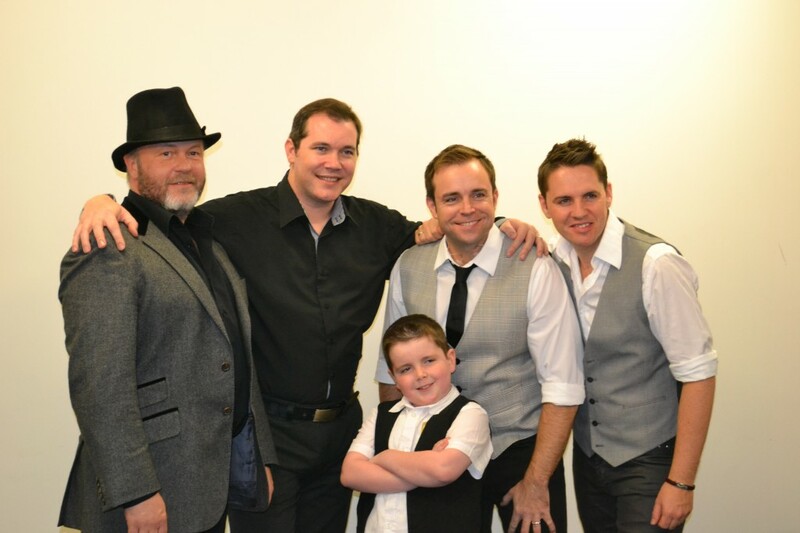 I had the honour of meeting the Irish Tenor’s, they are funny guys. 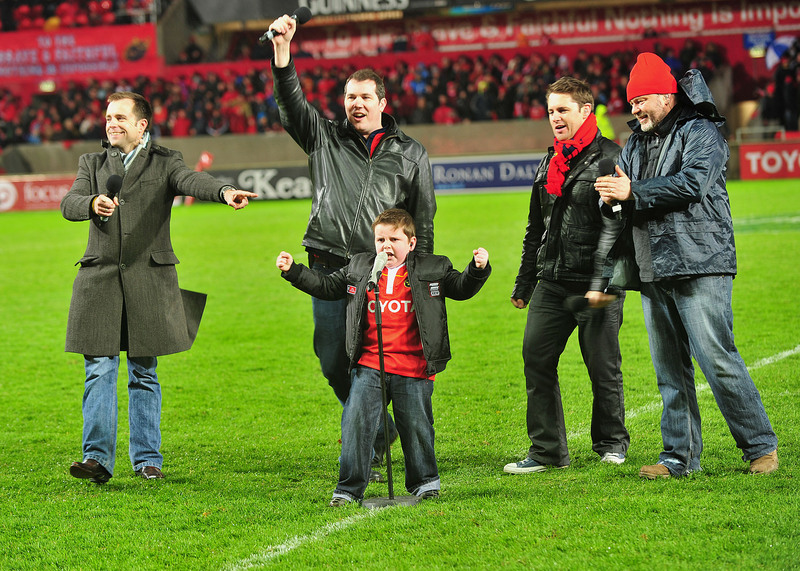 Leading out the Munster team against Australia was Brilliant and beating them was even better. 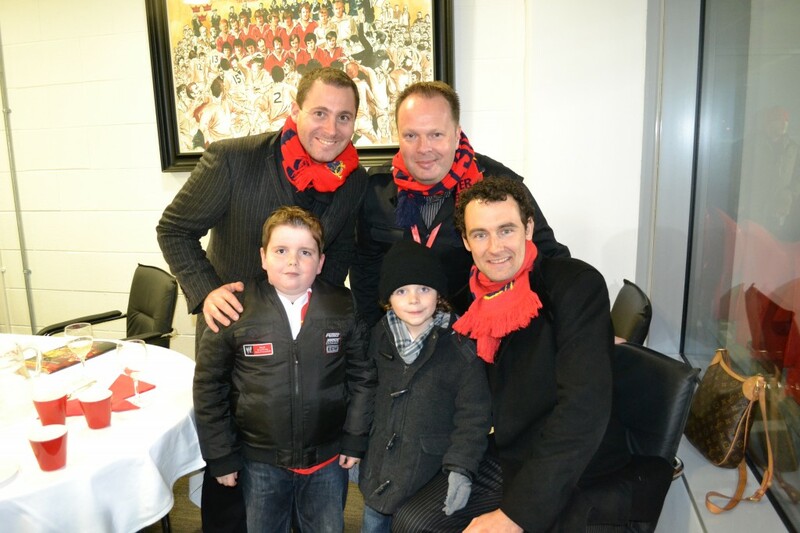 It was a brutal night weather wise but sure we did our best to sing at half time. It was brilliant to hear the crowd singing along and all my class mates were there too. Paul O’Connell is one of my hero’s and he was very good to me that night, he got me into the dressing room and got all the team to autograph a ball for me. 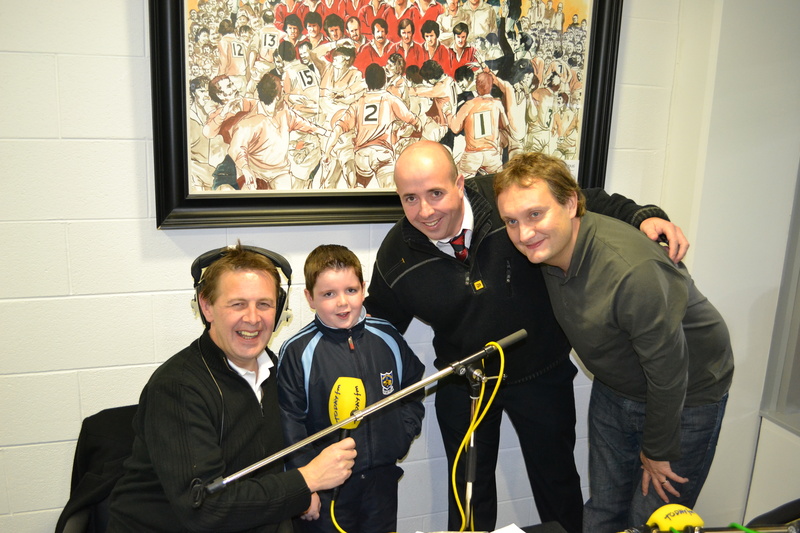 I was on the Breakfast Show with Ian Dempsey, That’s my Dad (Denis) and that funny fella Mario Rosenstock in the picture. Not my thing really but my Brother Billy looked really well, I rather the singing but its good to get out. 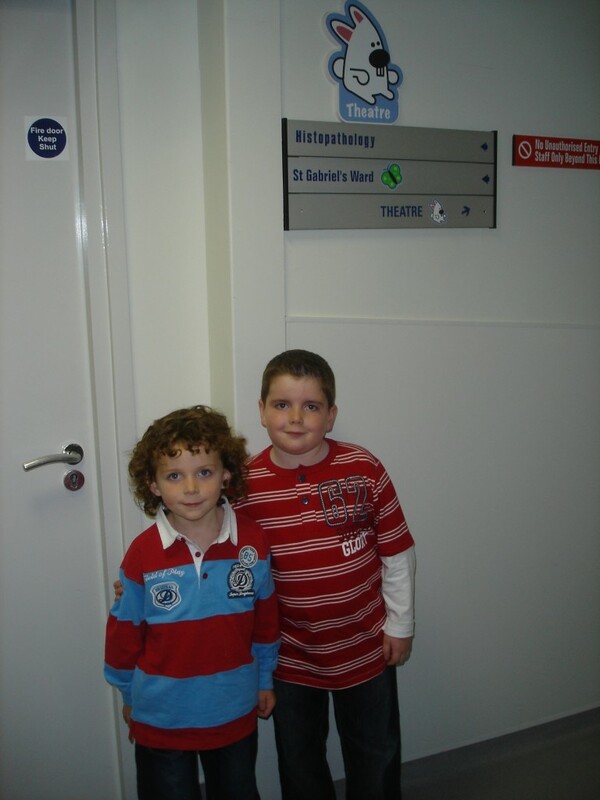 After “The Late Late Show” the first place I wanted to visit was Temple Street Hospital to meet the people that were so good to me at the Hospital.